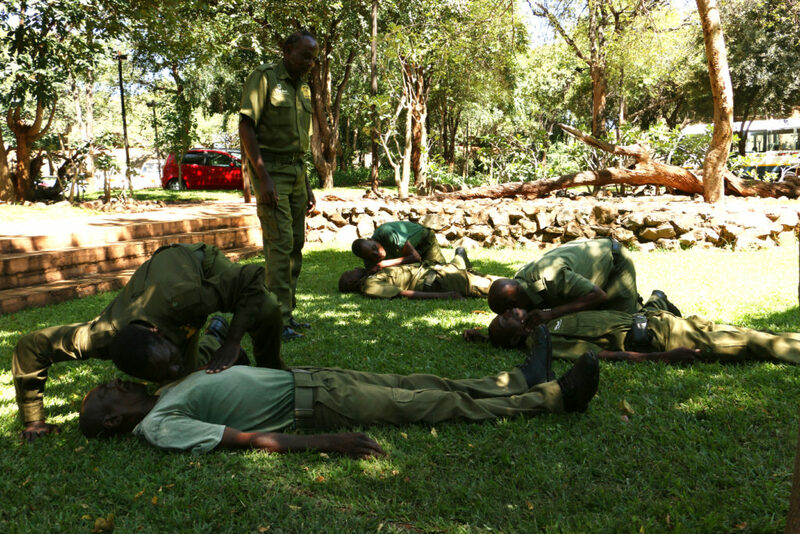 Victoria Falls Anti-poaching Game Scouts are attending first aid courses at the Victoria Falls Safari Lodge, which are lead by Tim Scarrott – a long-serving sub-committee member of Save African Rhino Foundation and a professional paramedic. The aim of the course is to provide the scouts with the necessary medical skills and preparedness should they be involved in an incident whilst in the bush on patrol. The Save African Rhino Foundation have been supporters of wildlife conservation in Zimbabwe for many years and have contributed greatly to anti-poaching operations in Zimbabwe. Last year, Tim voluntarily spent four weeks in South Africa and south-east Zimbabwe, Chipinge, Save Valley, Malilangwe, Gonarezhou, Kyle and Matobo, conducting basic first aid training courses to anti-poaching game scouts and managers. They were very favourably received and 113 first aid certificates of achievement were issued. Tim has again wonderfully offered his services this year, starting in Victoria Falls and going south via Sinamatella and Main Camp in Hwange National Park, until reaching Matobo National Park and beyond for follow-up courses. 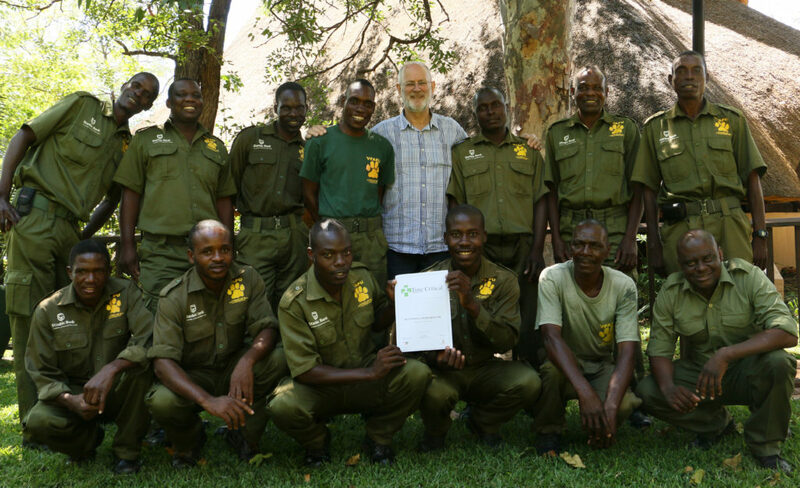 This commitment from Tim and Save African Rhino Foundation goes a long way in improving the moral of the game scouts on the ground and contributing to uplifting communities around our protected areas.